Primary vaccination is essential in order to prevent the once common puppyhood and kittenhood diseases that caused high levels of fatality from returning. However, recent research indicates that all vaccines may not require yearly booster vaccines. There is no evidence that annual booster vaccination is anything but beneficial to the majority of pets. Published research has shown conclusively that omitting to re-inoculate against some of the major diseases can put some pets at risk. To establish whether boosters are really necessary for your pet, blood tests to measure the amount of antibodies (antibody titers) are necessary. Unfortunately, these tests are usually more stressful and are often more expensive than a simple revaccination. Additionally, there has not been proof that high serum antibody equals disease protection if your pet becomes exposed to a virulent disease. Vaccines are closely regulated by the Food and Drug Administration (FDA) and vaccine manufacturers must prove that the vaccine is safe and effective before it can be used in your pet. Through vigilance and high standards, the veterinary vaccines used today are the safest and most protective ever. I would prefer my pet to have boosters only when necessary. Is this possible? It is possible, but in order to determine when boosters are necessary, the level of immunity against any of the preventable diseases has to be established by individual blood tests. If it is found to be low, the immunity will have to be boosted. At the present time, inoculation against a single disease is likely to cost as much as a multivalent vaccine, and there is no scientific evidence that annual multivalent boosters actually cause harm. From your pet’s point of view, it is preferable to receive one injection against the common diseases rather than a series of single disease inoculations. For patients that have low-risk lifestyles or whose owners want less frequent vaccination, your veterinarian may recommend alternating vaccines on a two or three year schedule. It is important to note that this is a violation of the approved usage for most vaccines, and the pros and cons should be thoroughly discussed before making a decision. Recent studies have demonstrated that some vaccines may convey two to three years’ immunity, but more research is needed. Ultimately, how frequently your pet should be vaccinated is determined by your pet’s lifestyle, risk, and you and your veterinarian’s personal beliefs. The issues are complex and often contentious. The annual health examination involves not only vaccinations but, more importantly, a thorough health check – ears, eyes, heart and chest are all examined. Diseases of the mouth and teeth, ear, heart and other problems are frequently detected during this examination and can be successfully treated because of early diagnosis. 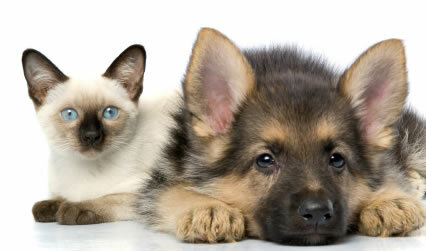 Deciding which vaccinations your pet receives should be based on your pet’s lifestyle, age and health status. Our trained veterinary healthcare team can help guide you through this decision-making process to ensure that your pet receives the highest standard of care and protection.